Earlier today, Naughty Dog released it’s roadmap for multiplayer roll out for it's DLC and a boatload of other multiplayer news for the upcoming Uncharted 4: A Thief’s End. It’s a huge document with tons of information for the truly dedicated to peruse, and you can do that here. This is a lot of information and clarity, and the motivation for this is outlined in the four principals, presented in helpful infographic form, but the most important one comes from their take on a unified community. “The idea of delivering our DLC this way was greatly influenced by the goal of having a unified community. Maps and modes will be available to everyone on the same day. This will ensure that all players are kept together and experience new content at the same time.” This means that Naughty Dog has decided to focus it's multiplayer efforts with the overarching idea to create a multiplayer experience that is immersive and challenging, yet fair. 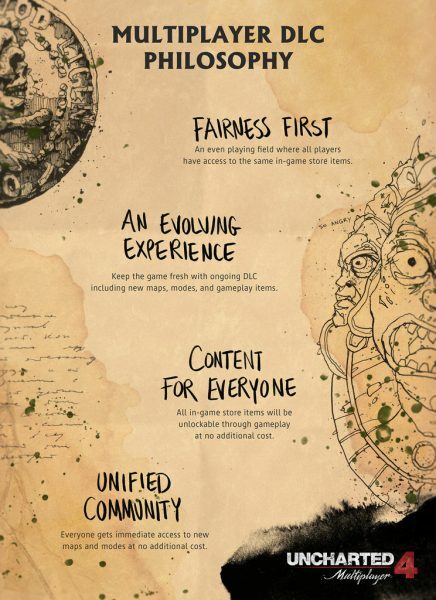 Most importantly, they aren’t going to try and squeeze players for more money with more maps. 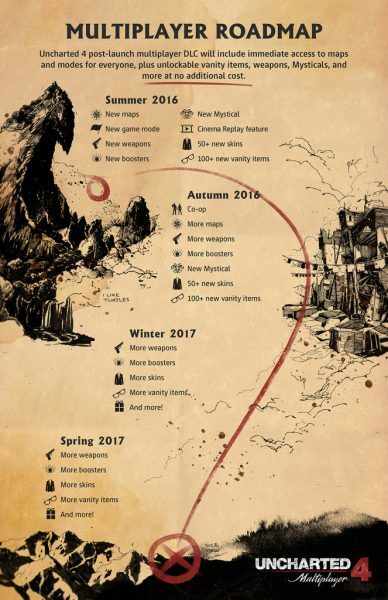 The blog post also outlines weapons, abilities, maps, multiplayer modes, and basically anything else you can think of over the next year and a half with yet another handy infographic. 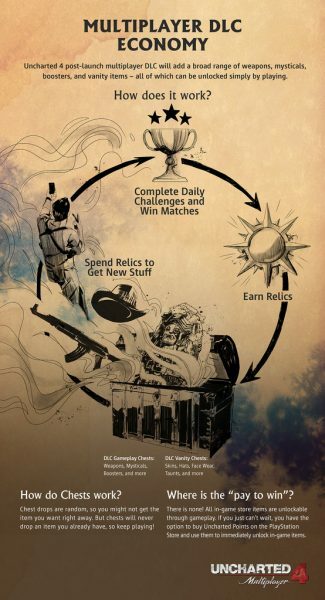 There is even a third inforgraphic explaining the prospective economy for the in-game currency that they are inventing to assist with their multiplayer efforts! Don’t you just love info graphics?! 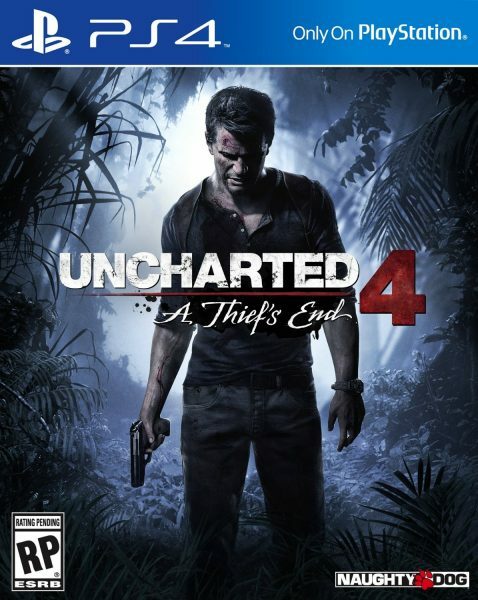 Uncharted 4: A Thief’s End will be available in stores on May 10th.